Single reviews are a great way to not only get acquainted with different jackets, but to also get an idea on the brand, without having to take too much time for extra research. 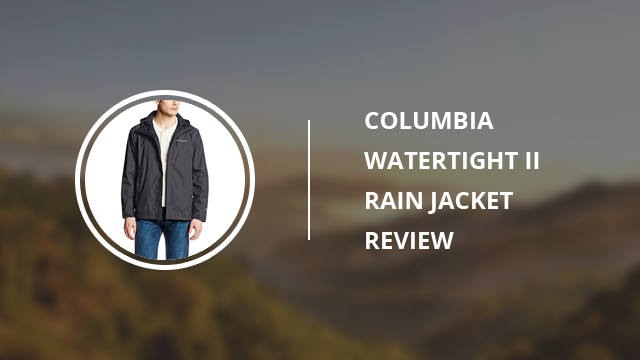 In today’s review, we will be looking at Watertight II for men, a jacket by Columbia. This brand has been previously featured in our articles, as we took a look at some of their sportswear. For those who are unfamiliar with Columbia, it is an American brand that started as a family business. 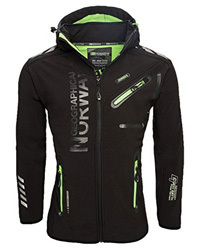 They specialize in outdoor sportswear and make some of the best gear you will find. Their motto is “It’s perfect, now make it better”, which goes to show the quality and work put into their products. Watertight II is already a popular jacket among Amazon customers and it has been reviewed by over 3000 people, with very good ratings. Now you will see for yourself why people love it and why you should give it a chance, too. Watertight II is a rain jacket, designed to be worn either on its own, or as a rain shell over a thicker jacket underneath. Usually with fully waterproof jackets, breathability is heavily affected and you can wear those jackets solely for rain protection. If you are looking for a do-all jacket, you will have to choose options that have a waterproof membrane, which allows air flow. This is why, especially if you live in temperate weather, a light rain jacket, such as Watertight II, is a smart choice, considering performance and price. The fabric itself is not waterproof, but the outer Omni-tech membrane is, while being breathable at the same time. It comes with a hooded collar, adjustable with drawstrings and Velcro fasteners. 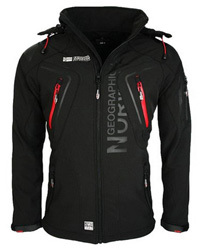 The main zipper is water-resistant and also covered by a Velcro-fastened flap, which helps keep water out. This is a straight-cut jacket, that adjusts at the hemline to help insulate and close off the jacket from weather conditions. The sleeve cuffs are also Velcro-adjustable. There are two side pockets on the outside, both with zipper closures and with plenty of room for essentials such as phone, keys, etc. 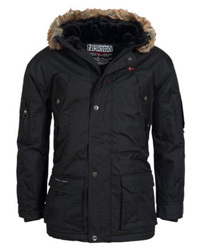 When it comes to weather resistance, apart from being waterproof, it is also windproof and well-insulated. It is quite a light jacket, but despite that, it performs as a true winter jacket as it maintains body heat effortlessly and prevents heat-loss due to its design. It is also versatile in style as it is simple in design, making it possible to wear it at work or as an everyday garment. You can also wear it as a sports jacket, due to the high breathability and flexible design, that makes movement comfortable. Watertight II comes in two layers: the first one is the outer Omni-Tech membrane which is made of 100% Nylon. As mentioned previously, it is waterproof and also resistant to wear and tear. This ensures a long wear time, through many seasons. 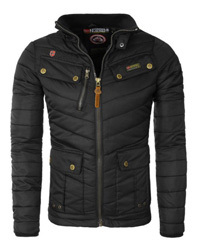 The inner lining is 100% Polyester, which helps with insulation and breathability. This combination makes this jacket lightweight, as neither are heavy or too bulky. 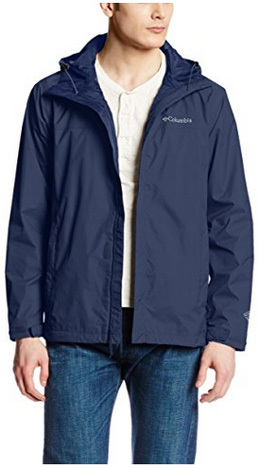 Columbia not only puts an effort in design and performance, but they always strive to bring a lot of color options, so each and everyone can find something that they truly like. Having said that, Watertight II comes in many color combinations. These are: Black, Collegiate navy, Columbia grey, Cypress, Graphite, Teal, Ever blue, Fuse green, Chartreuse, Grey ash, Pine green, Zinc, Rocket, Steel, Super blue and lastly, Super sonic. They vary in combination as some have contrasting inner and outer linings, while some are one-color. Columbia Watertight II lives up to its reputation and it performs as well as it claims to. The most mentioned aspect of the jacket is its weather-resistance and insulation, especially considering how lightweight it is. For campers and hikers it is a favorite, as it packs in its own pocket. 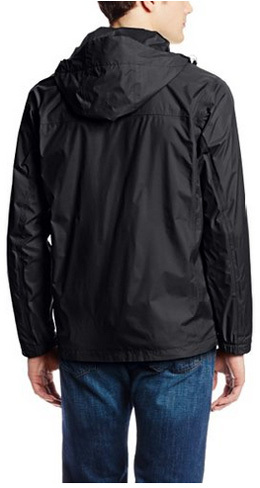 A design feature that sets it apart is the forward-leaning hood, which protects the face while raining. And of course, the high quality is evident the moment you look at it, and it continuously shows with each wear. Fair is fair and unsatisfied customers deserve a say too. The two problems they expressed were the cold resistance and as always, the sizing. As we said, this is a rain jacket, which provides adequate insulation, but it is not a winter jacket, nor is it suitable for very low temperatures. That is why you are advised to go a size up, in order to layer it with warmer clothes underneath. Columbia is an upstanding brand that gives you exactly what it promises and such is the case with Watertight II. Waterproof, lightweight and comfortable, look forward to a carefree outdoor experience with this jacket. Hello, is the hood can be folded and keep unseen hanging which I do not like if we do not need it?